What Is the Google Beacon Project? You may have heard of beacons, but do you truly know what this small device can do to enhance your business’s digital marketing? For the sake of this blog, we’ll be discussing the Google Beacon in depth. But first, let’s talk about what beacons do, in general! To put it in layman’s terms, a beacon is a small transmitter that you place inside your business (typically in a central spot) that sends a one-way signal to a customer’s phone. What this device does is target a more accurate location through Bluetooth and location settings on mobile-devices compared to using GPS or Wi-Fi. This doesn’t seem like a big deal, but in reality, it can help give your business better data based on when your customers are visiting your store. For example, beacons can help apps like Google Maps get a better sense of a customer’s location to improve their personalized timeline and recommendations for new places to check out based on where they’ve visited before. It’s important to note that customers must have Bluetooth and their location enabled on their mobile devices for a beacon to gather the data. If you’re like me and never leave your Bluetooth and location on, then beacons aren’t able to gather data from your visits. If your customers do have their Bluetooth and location enabled on their devices, the data collected does NOT include information about the customer. The Google Beacon simply helps the customer's phone to determine their location more accurately. Another important thing to know is that not all beacons work the same, so it’s crucial that you do your research to understand the specific one that your business is going to use. The main purpose of the Google Beacon Project is to help small and medium-sized businesses to become more visible to customers using mobile devices. Businesses must have a physical storefront or location that customers could visit. The location cannot be larger than 2,500 sq. feet. Businesses cannot be in what Google considers "sensitive categories," such as health, medical, drug, religion, weapons and other similar categories. These two actions show intent and that you want to engage, giving you an increased chance of receiving a Google Beacon. You may be wondering, how much does a Google Beacon cost? Well, it’s totally free! Google even pays for the cost of shipping. After you receive your Google Beacon, the set-up is very minimal! The beacon will automatically turn on when it is removed from the box and the battery typically lasts for many years. Next, you need to find a central location in your business to place the beacon — higher is typically better. 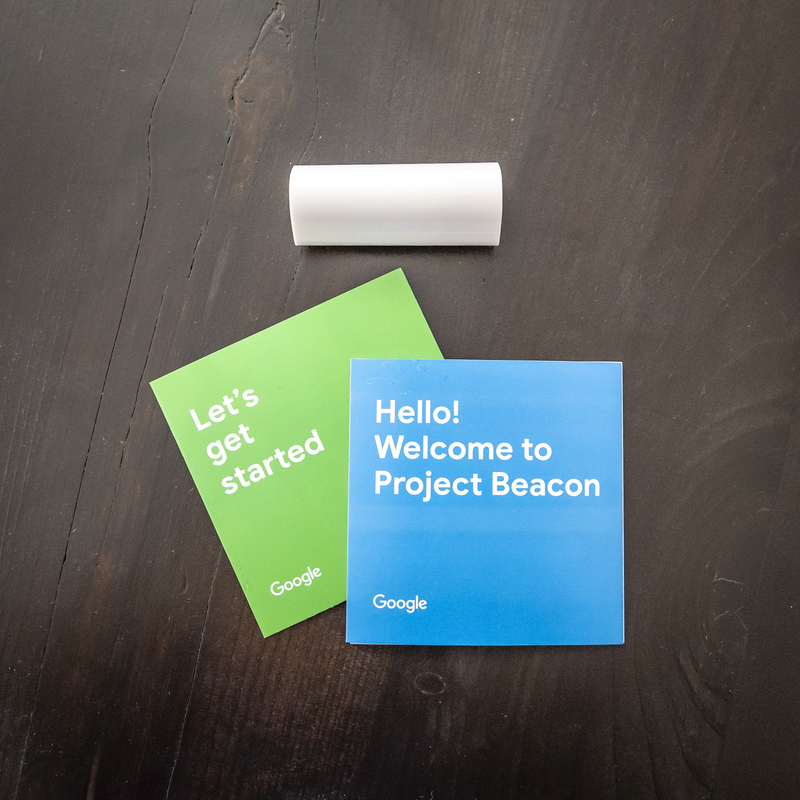 To finish activating your Google Beacon, visit goo.gl/beaconsetup and follow through the prompts (I promise, it doesn’t take long). If you have questions along the way, you can visit goo.gl/beaconhelp for assistance. To check to see if the beacon is working, you can download a test app here. Decide that you don't want to use your Google Beacon? No worries! Simply throw it away. If the beacon gets far enough away from your business, it will no longer work. What Are the Benefits of Using a Google Beacon? Now that you know what a Google Beacon is and how easy it is to set up, let's talk about the benefits! When a customer's phone has a better understanding of where they are and if they've visited your business, a variety of new features is unlocked to improve your business's local presence. More users who have visited your location will be prompted to contribute reviews, photos and other helpful info. Enables popular times and visit durations to help customers plan visits to your business. Improves your visibility on Google Maps. The Google Beacon Project may seem a little confusing, but it's actually pretty easy and beneficial for your small to medium-sized business. Utilizing a Google Beacon can not only improve your business but your customers' experience as well! Who wouldn't want to learn more about their customers and make changes to suit their needs? If you're a current client and you receive a Google Beacon, reach out to your digital marketing strategist with any questions you may have. If you're new to RevLocal and are ready to optimize your digital presence, request a demo with one of our digital marketing consultants today. However, it seems as though the form is closed. Perhaps they will re-open it before they're ready to send another wave of beacons out! How do you get a beacon? IS there a place to apply for one?